However the e-mail will really be sent from wordpress@your_domain.com which violates Dreamhost’s new policy. The reason it violates their policy is that you are technically “spoofing” that person’s e-mail address which is now a no-no so trying to send an e-mail like so will fail. 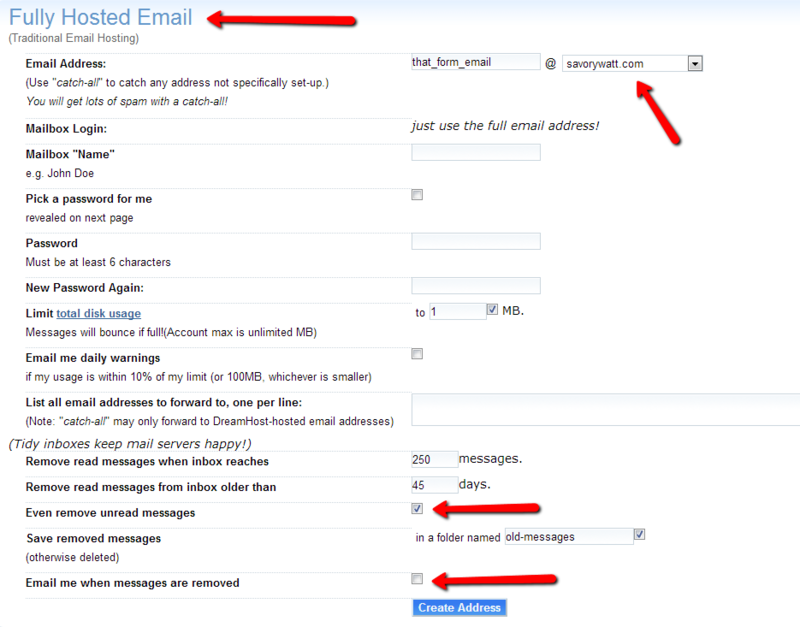 You get around this issue by setting up a new hosted e-mail account on dreamhost to put into the From field in Contact Form 7 and then inserting something into the Additional headers box to allow you to just hit reply and actually reply to the person who used the contact form and not your new From e-mail. Now this e-mail address you want to treat as if it isn’t going to ever have anything sent to it, you just want to have it there to be able to send e-mail from so you should minimize the inbox size and let it delete any messages that it gets sent even if they are unread. Here is a snapshot of what your settings should look like. Make sure it is a fully hosted address for your domain and that it just removes e-mails without e-mailing you about it. 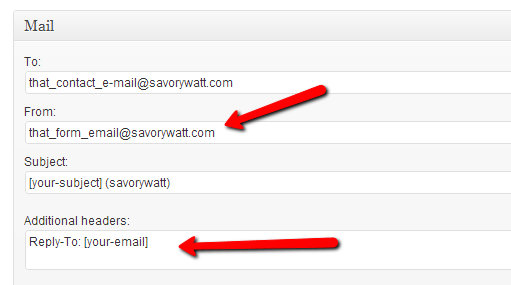 Once you’ve managed to set up this e-mail you’re going to want to go to your WordPress admin page’s contact form 7 section and edit your contact forms like so. 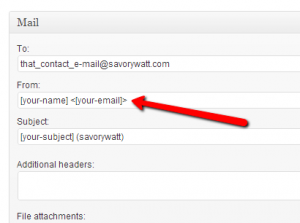 Setting the From field to the e-mail address you just created and then adding into the Additional headers field the “Reply-To: ” plus whatever contact tag you used to denote the senders e-mail. Right now this doesn’t appear to alleviate sending attachment problems. Once I get that figured out I’ll share. Good luck! I have to commend you on this Fix, I was bashing my head up against a wall trying to work out why it wasn’t working. Your fix even though you found this a couple of years ago is still relevant today. You really would think that this info would be more available. Thanks for the great fix. Since i have a custom MX record Dreamhost wont let me create a new email with their services.. Any ideas? My website is hosted by Dreamhost but my email is with Zoho mail. So, not sure if the instructions you have for the “create new email address” are valid here? I doubt these instructions would be valid if you’re running your email through Zoho mail. Good luck! I recently wrote a blog post about this very issue! It is possible to use your visitor’s address as your From address IF YOUR SMTP PLUGIN supports it. If you’re not using an SMTP plugin, you’re out of luck. 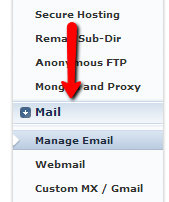 The trick is to set the Envelope From to the SMTP account email, and the Message From to the visitor email. Now DreamHost will accept your mail. Postman SMTP and WP Mail SMTP both support configuring the Envelope From email address.